Choose three to eight dates, their corresponding photos, and titles— we'll chart the memories. Mark the milestones that tell your unique life story with this customizable timeline. 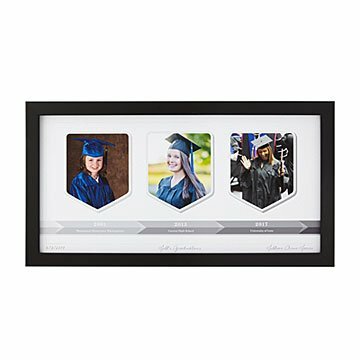 Choose three to eight dates, their corresponding photos, and titles, and we'll chart the memories—graduation, first home, grandchildren, to name a few—in this tasteful, framed display. Make it extra special by personalizing it in the bottom right corner, whether it"s to celebrate an individual, a couple, or the whole family. Printed and framed in Portland, Oregon.